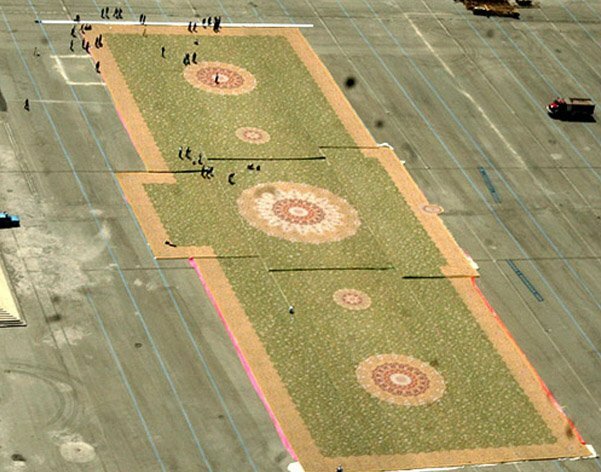 In 2015, the Guinness Book of World Records recognised it as the largest hand-woven carpet in the world. 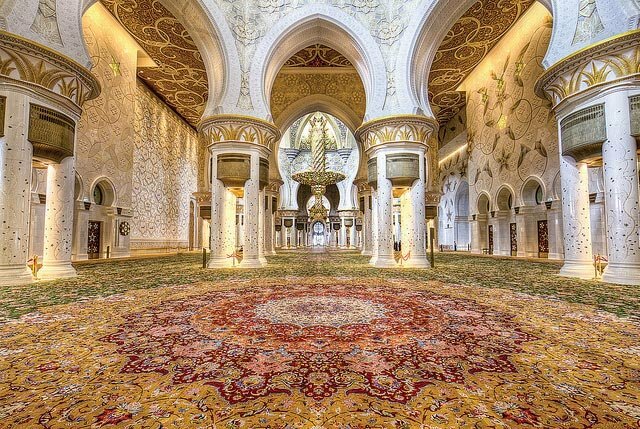 The carpet, which was designed by Iranian artist Ali Khaliqi and made by the Iran Carpet Company, graces the central prayer hall of the Sheikh Zayed Grand Mosque in Abu Dhabi. In total, it’s 133 metres long and about 43 metres wide. The carpet isn’t just big. It’s also phenomenally detailed and colourful. 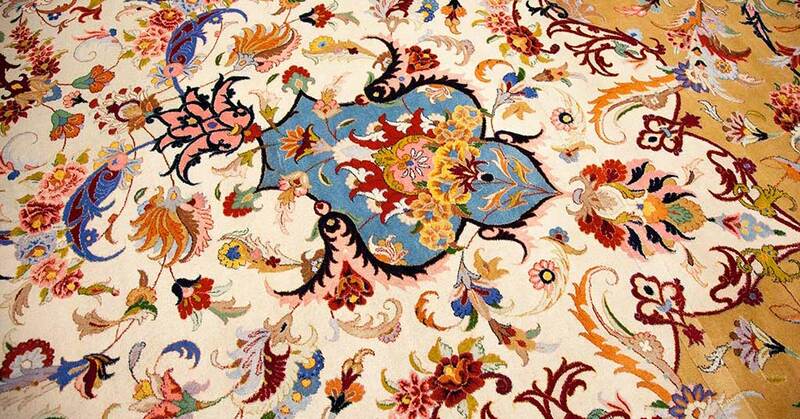 It consists of stylized flower motifs, with five large medallions and a total of 25 different natural colours, ranging from vivid greens, blues and reds to pale creams. 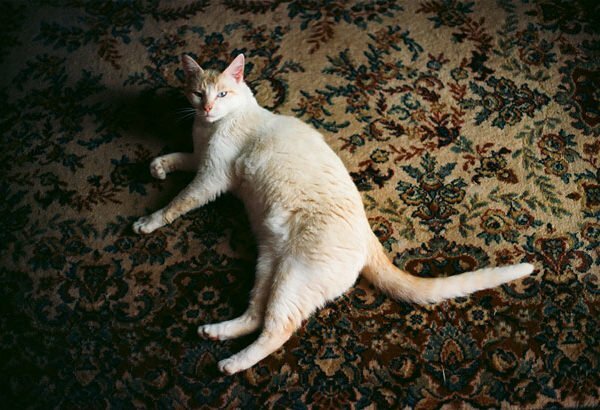 The carpet’s patterning and colours were carefully researched to keep them in line with traditional Persian carpet design. It took about 1 200 weavers in the northeastern Iranian city of Neyshaboor a year and a half, with two shifts a day, to weave the carpet. It consists of about 72% wool and 28% cotton. Because of its enormous dimensions, it had to be created in nine separate pieces, at different workshops. 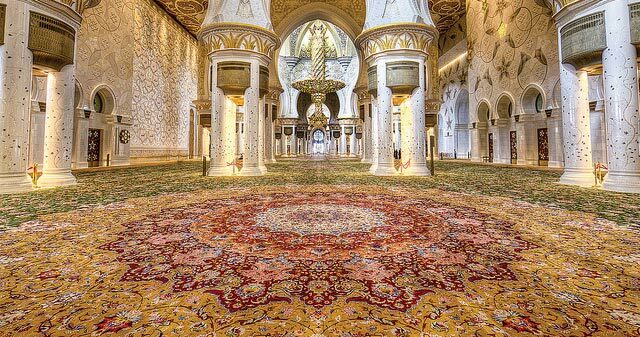 Then the pieces were flown to Abu Dhabi and stitched together to create the final carpet. 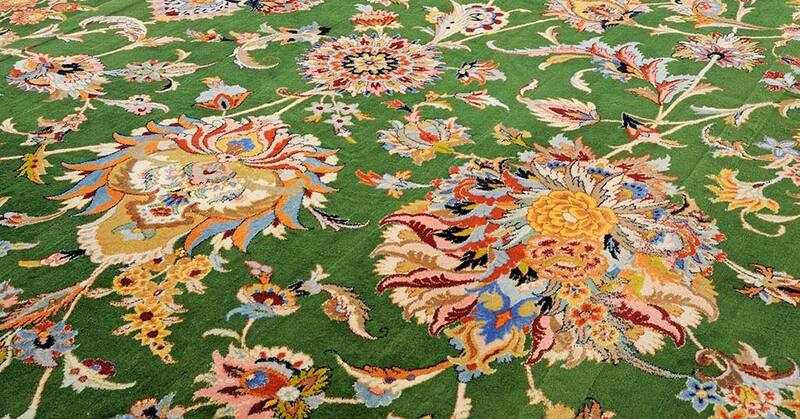 The carpet includes an estimated 2.2 billion knots and weighs a staggering 38 tonnes. 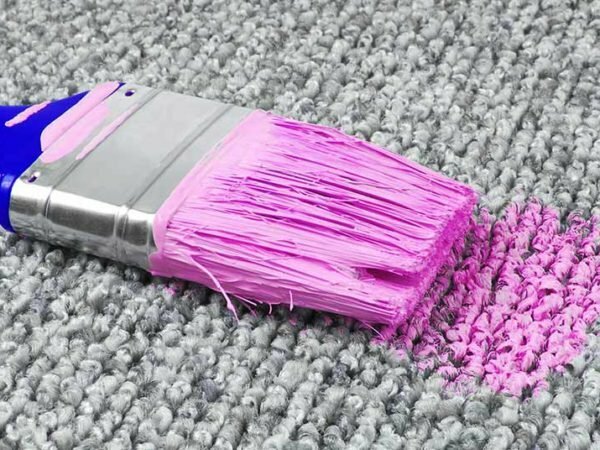 At Chelsea Cleaning, we treat all rugs – big and small – with the same care and attention to detail.